Just thought I should put a quick update on gilhoolie as I haven’t blogged for ages, I’m still here! The last couple of weeks have been spent doing lots of screen-printing (some prints more successful than others, arghhh) as well as lots of behind the scenes preparation for getting started on selling things. I’m hoping to have a stall at a shopping evening at school next month so I’ve been concentrating on that by putting together some marketing materials and thinking about how to display everything. I also want to start selling on-line on folksy before then, so I’ve been writing a biography to set up a gilhoolie shop. So you see I have been quite busy really! 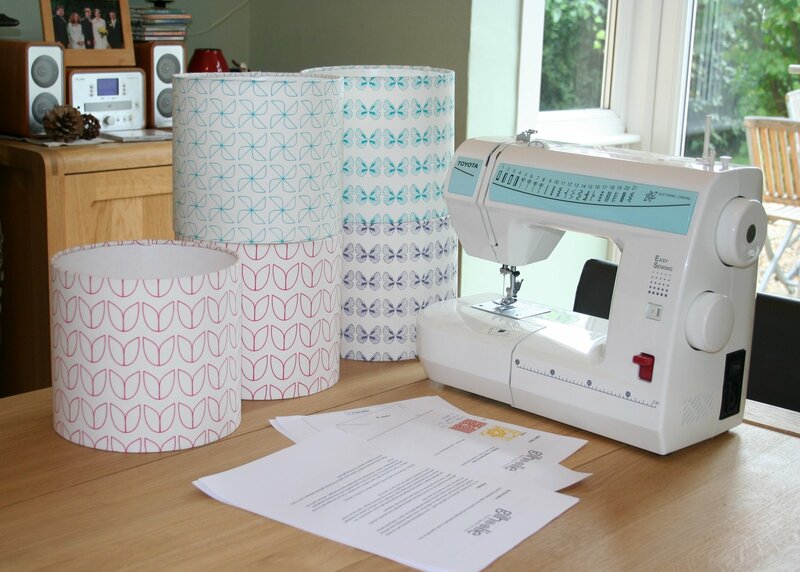 I’ve made some lampshades from my own designs (shown below) but also just ordered some pretty fabric to make some more. I’ve decided to not just make things exclusively from my own hand-printed fabric but instead to experiment with any other fabric that catches my eye. I’ve also ordered more denim fabric for making beanbags and bags. The designs will be made to order with a choice of fabrics for bag linings, beanbag pockets, pouffes and accessories (buttons and bows on bags). I’m really looking forward to receiving the fabric I’ve ordered as I’ve missed sewing and I’m getting impatient to start selling soon!